Last Saturday, Andy and I picked out our tree from our local Lowe’s. Andy’s family tradition is picking out a tree that hasn’t been unwrapped yet so it is a mystery to how well shaped the tree is… My family (or should I say my mom) on the other hand would go down aisles and aisles of trees selecting just the perfect tree with no browning branches or gaping holes. Our compromise was choosing a tree that had been unwrapped yet not fully open! Gotta love compromise in marriage! 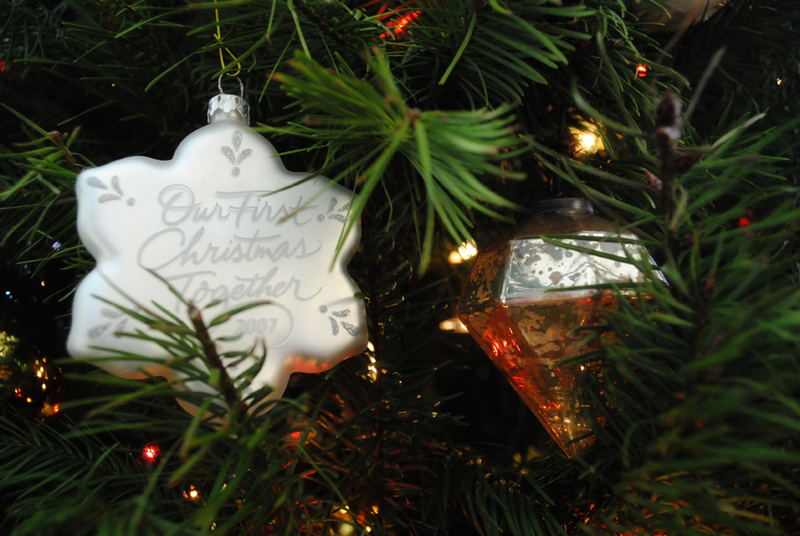 Another compromise since we’ve been married is decorating our tree with a unifying “theme.” Theme is loosely based as ornaments just have to fit into the categories of red, gold, silver, rustic, or extremely important! 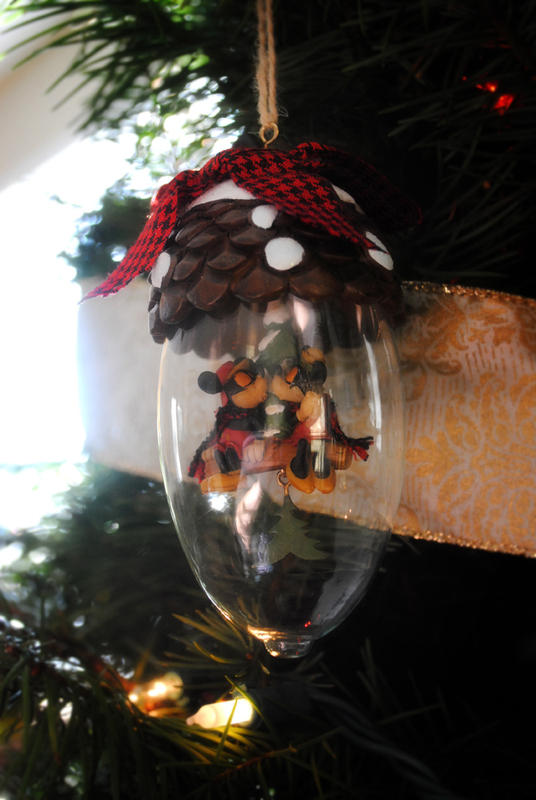 All others may be left for my very own tabletop Disney tree! 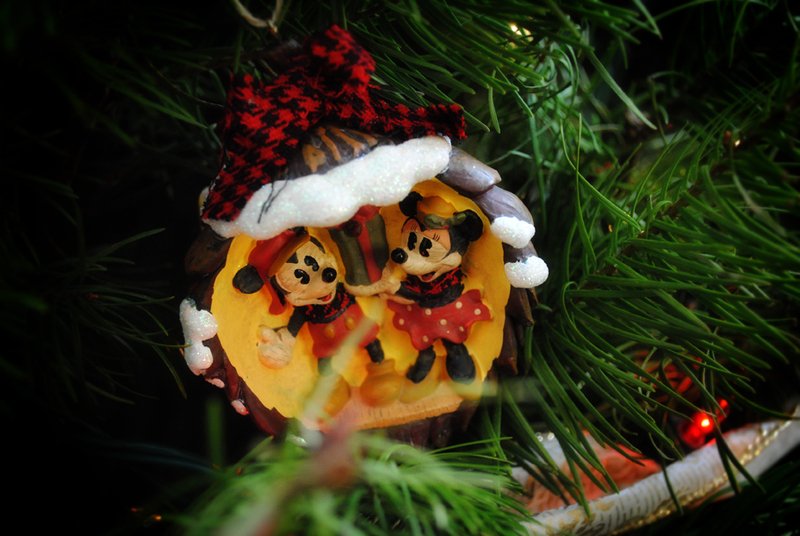 The tree that is designated for all my more cartoonish ornaments of the Mouse himself and all his buddies! 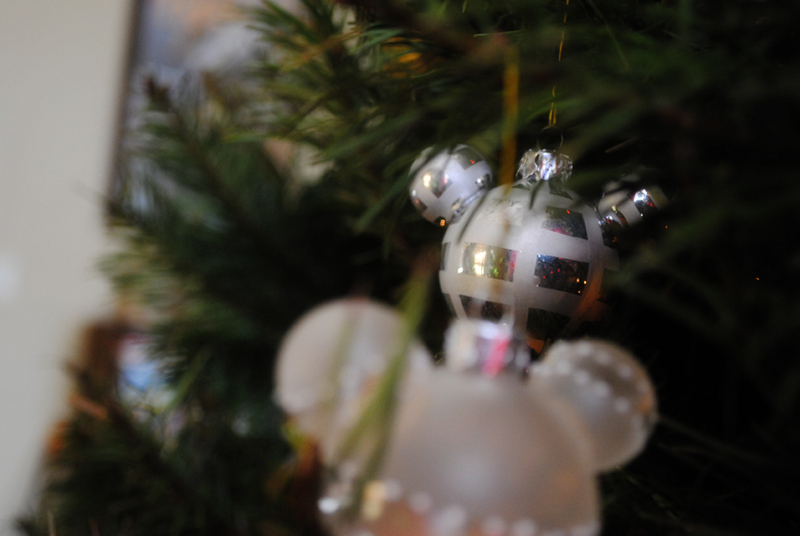 I wasn’t a fan of any of the photos I took of my Disney tree so you can wait until next year for those! 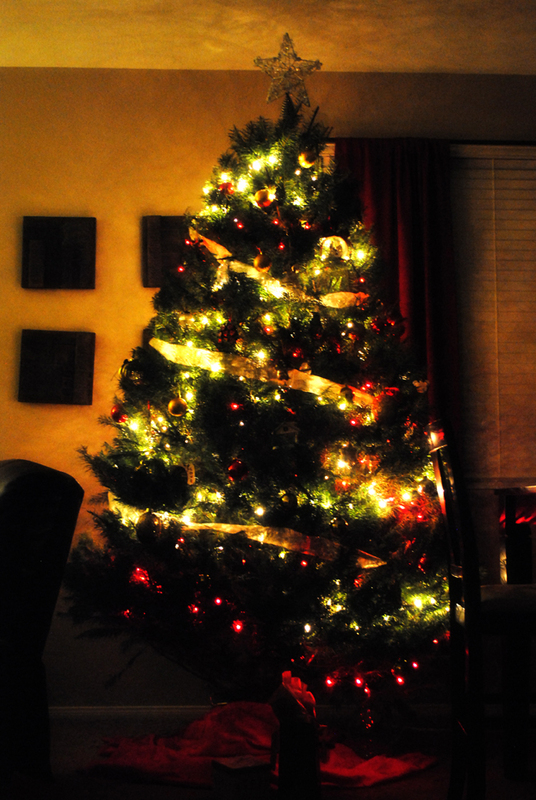 So with that lengthy introduction, here is our 2011 Christmas tree! 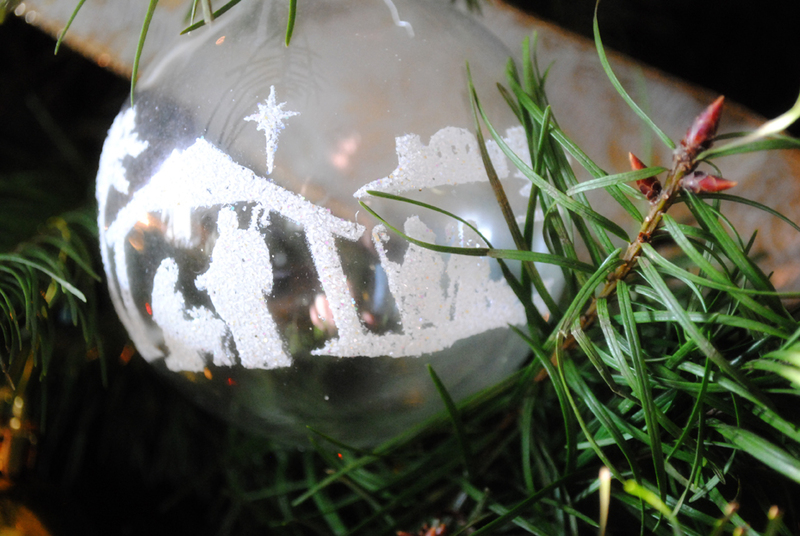 First up is our nativity bulb as you can’t have Christmas without the birth of Christ! 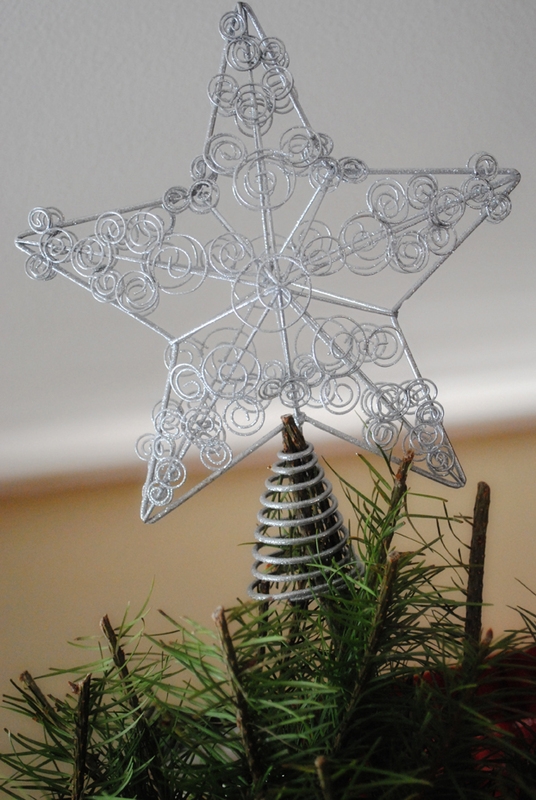 I am just discovering the beauty in mercury glass! I just love it! Our house doesn’t have too many fancy things so I like that it adds class with a rustic touch. 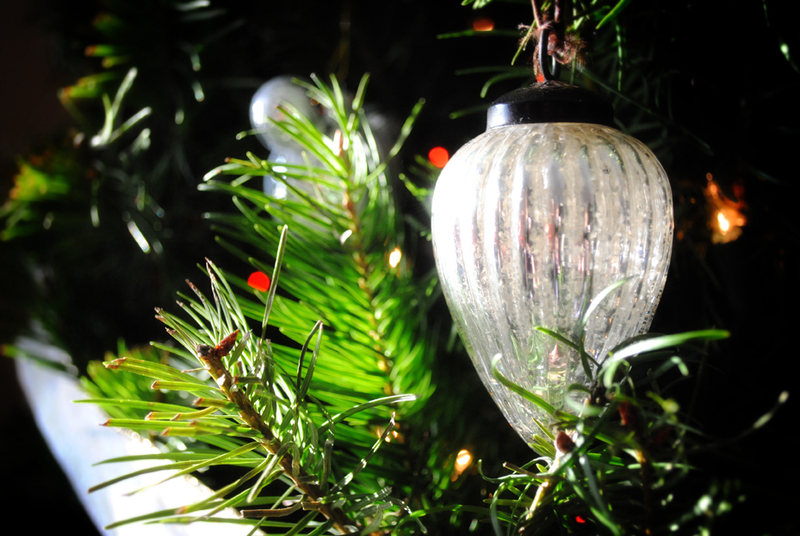 As we were unwrapping our ornaments we found a few that resemble mercury glass! Didn’t even realize we already had them! 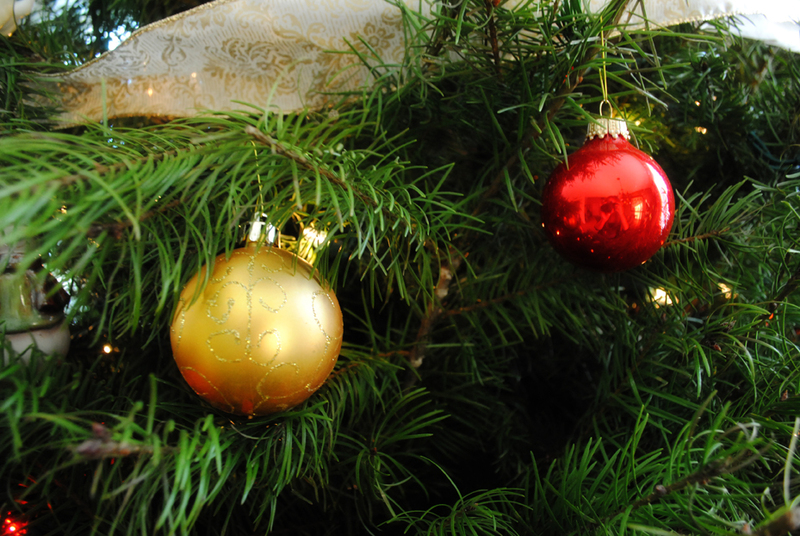 For many of you, after you see the following photos, you’ll wonder how I don’t consider this a Disney tree as most of the photos here will be of Disney origin… but you see, I have cleverly presented them to my husband as either in the red/silver/gold or rustic category! 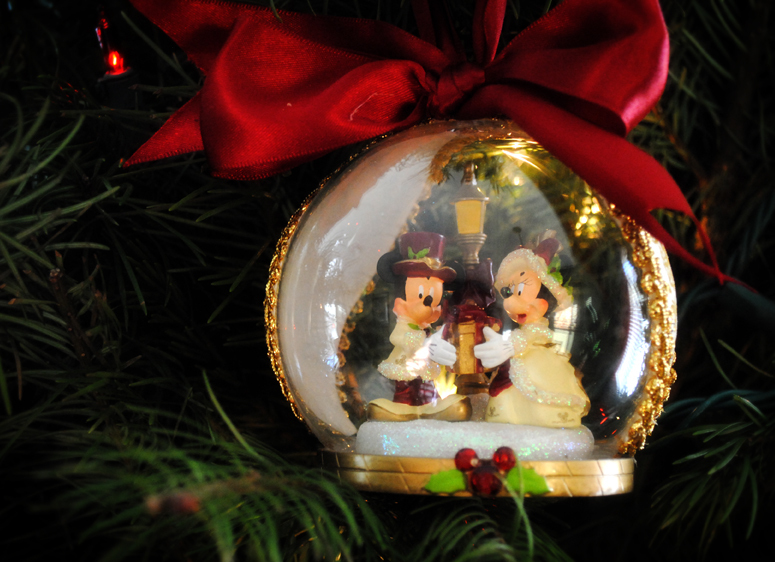 Since our first Christmas together we have been collecting an ornament from Disneyland each year. Here’s just a few of my favorites. They’re in order as we got them. 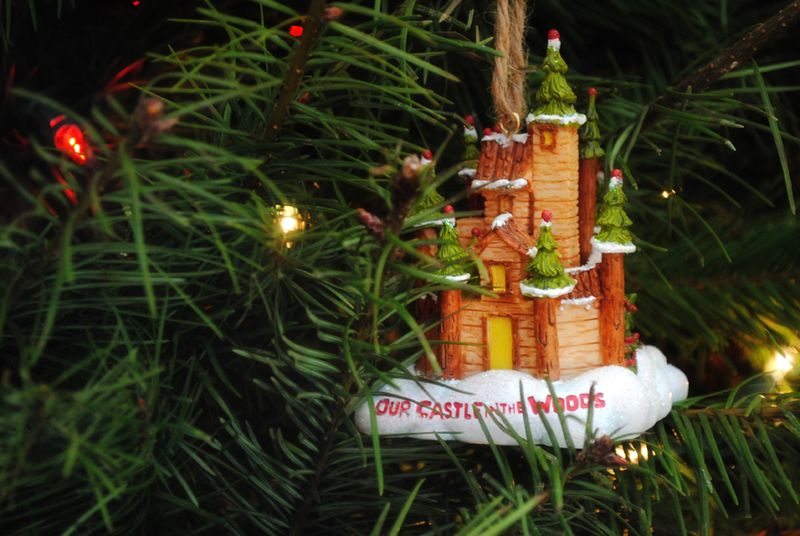 The “castle in the woods” ornament was bought for our first Christmas in our house and the last bulb is the one I bought just last week! 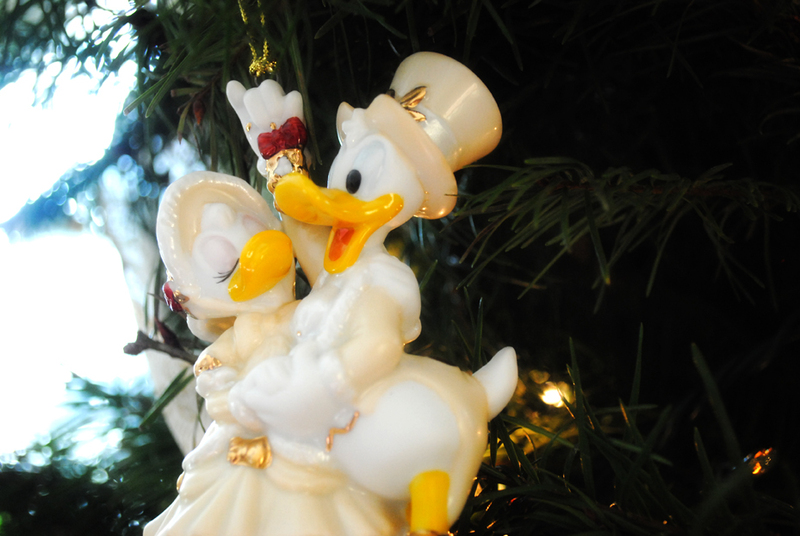 Even our tree topper has little hidden Mickeys all through out! You really can’t even tell, but I know they’re there… and now so do you! 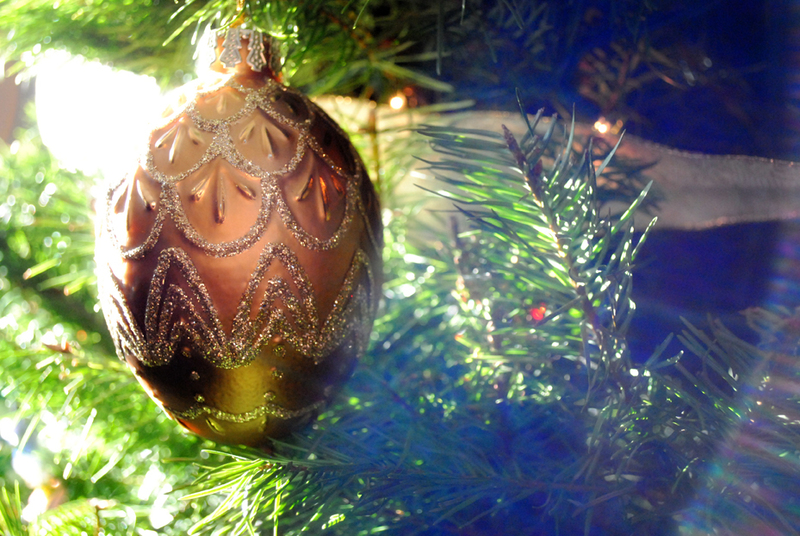 And without any further adieu or blabbing from me… here’s the most beautiful Christmas tree I have ever seen! 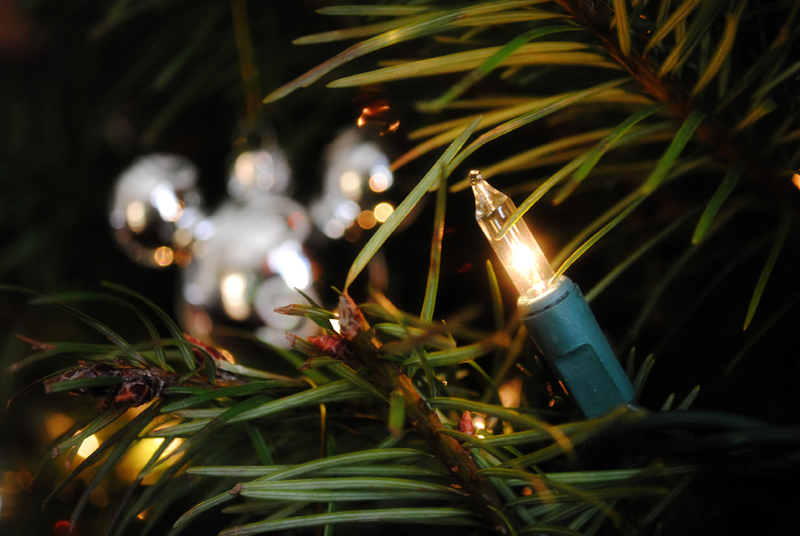 Merry Christmas from Central Creative!